(Left to right) Paul Staines, James Flintham Shaun Cass and Gary Rousseau with the Team Trophy. The weather was shining on the 10th July for the annual Streets Accountants golf day at Lincoln Golf Club. 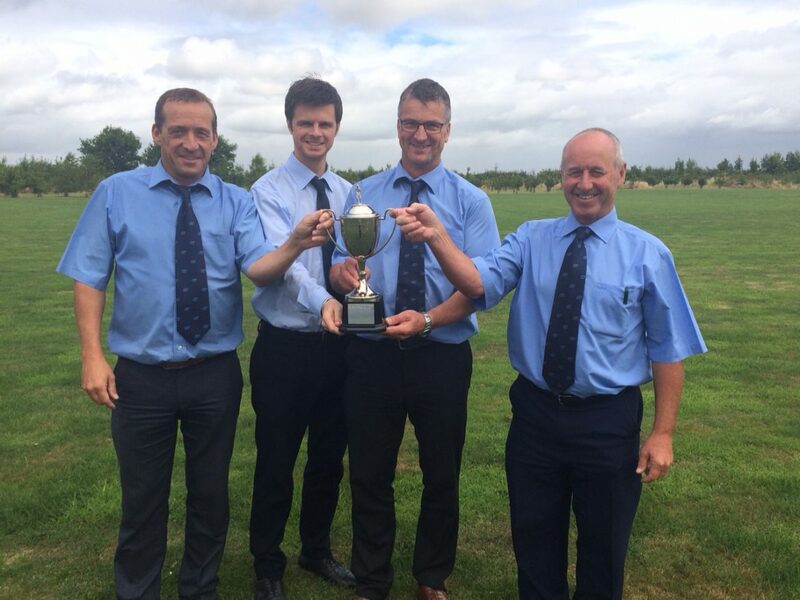 The Maintenance team entered a seasoned team of players which included Gary Rousseau, Shaun Cass, James Flintham and Paul Staines who individually and as a team managed to win several prizes on the day. Paul and Gary out-played the golf pro to win a set of Pro V1’s. James, Shaun and Paul won 2nd, 3rd and 4th places respectively in the individual tournament and overall the team collected the top prize on the day with an unbelievable score of 94. I’m so please with the teams achievement, we’ll look forward to defending the title next year.